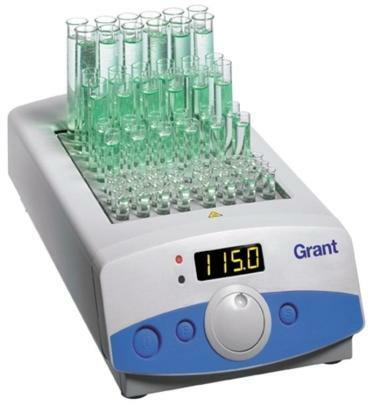 The Grant Instruments QBD/QBH series is a versatile range of high quality digital dry block heating systems with excellent temperature control and a wide choice of removable/ interchangeable blocks for maximum flexibility. The outstanding performance of the QBD/QBH series is based on advanced digital temperature control combined with high quality, precision-engineered blocks providing excellent thermal contact. The result is accurate, reproducible and safe heating of your samples. There is a full range of models and options to cater for basic through to more sophisticated applications - choose from three digital systems with 1, 2 or 4 interchangeable blocks (QBD models) and one digital high-temperature system (QBH2) with 2 blocks. These are complemented by a versatile range of interchangeable heating blocks to fit any sample tube you are using for your samples �" from our standard range of blocks or tailored to suit your application. In addition, for 2-block systems QBD2 and QBH2 we offer accessory blocks for accommodating microplates and microtube strips. 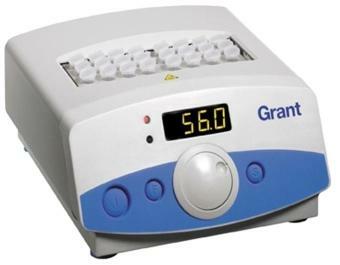 The Grant Instruments QBD1 is a high precision dry block heating system with digital temperature control and a single removable/interchangeable block. 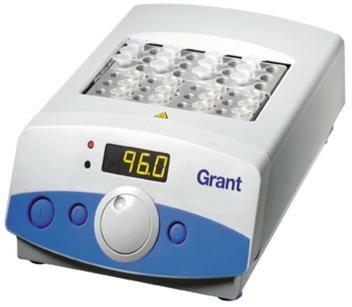 The Grant Instruments QBD2 is a versatile, general purpose dry block heating system with two removable/interchangeable blocks and a comprehensive specification to suit most dry block heating applications. The Grant Instruments QBD4 is a versatile, general purpose dry block heating system with four removable/interchangeable blocks and a comprehensive specification to suit most dry block heating applications. 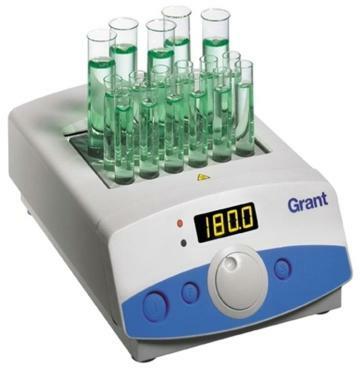 The Grant Instruments QBH2 is a programmable high-precision dry block heating system with two removable/interchangeable blocks for applications requiring higher temperatures.